Our menu is 100% gluten free and suitable for those with celiac condition - so you can enjoy the incredible taste of Abyssinian cuisine without limitations. 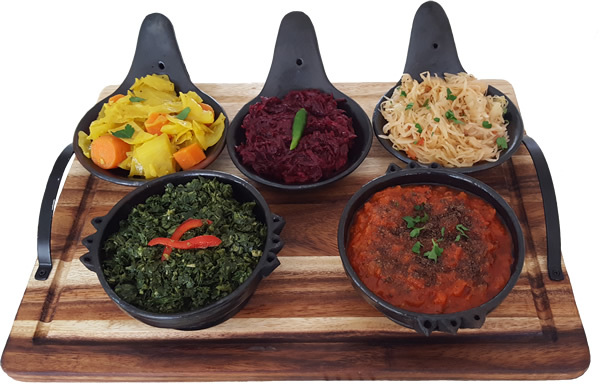 In Abyssinia, an exclusively vegetarian diet is eaten on Wednesdays, Fridays and during Lent – but you can enjoy our vegetarian food any day of the week. 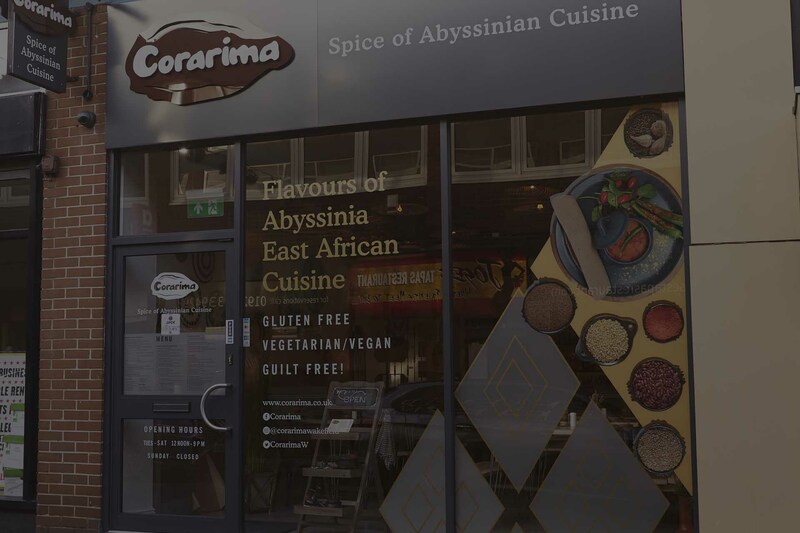 The friendly team here at Corarima welcome you to join us in our vegetarian and vegan friendly gluten free restaurant in Wakefield, and sample the sensational flavours of Abyssinian cuisine – lovingly prepared by Ethiopian and Eritrean chefs who know how to conjure up the authentic taste of Abyssinia. 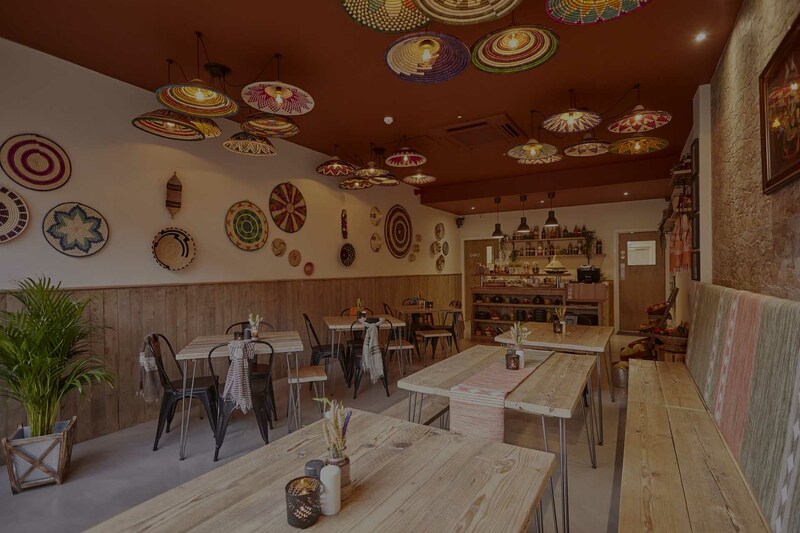 Our modern décor is complemented by beautiful touches of Abyssinian art, creating a warm and inviting environment where you can share and explore a new style of food with family and friends. 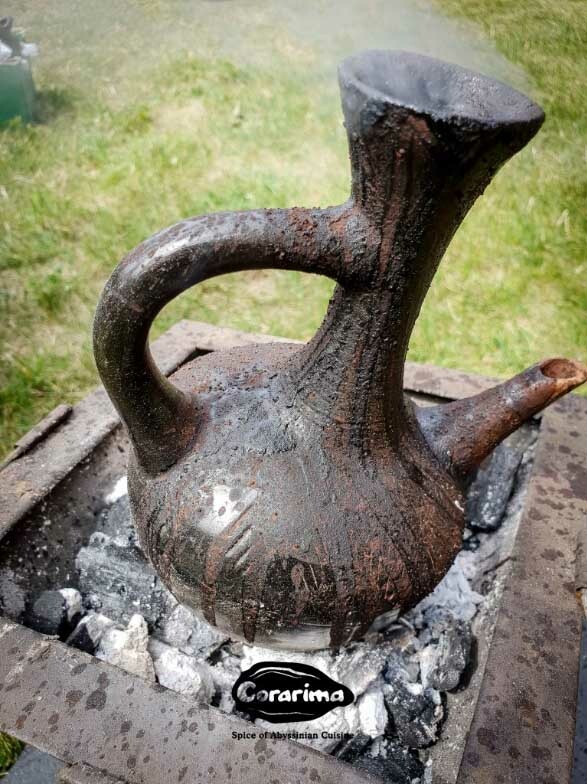 A tangy gluten and sugar free leavened pancake, injera is used instead of a plate for serving, and instead of cutlery for grabbing and eating! 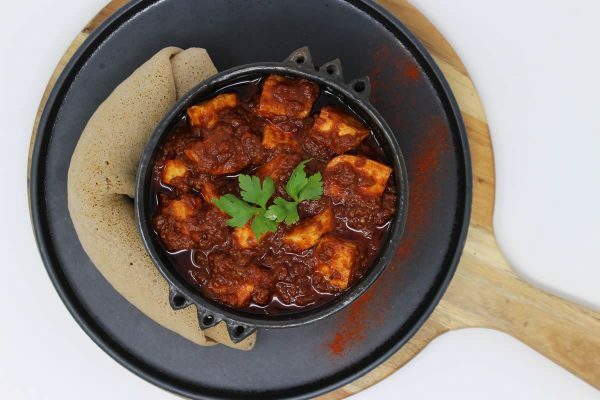 This Abyssinian classic is usually served as a vegetarian or vegan stew, but it is also served in other dishes. Here at Corarima, we offer vegetarian or vegan option. 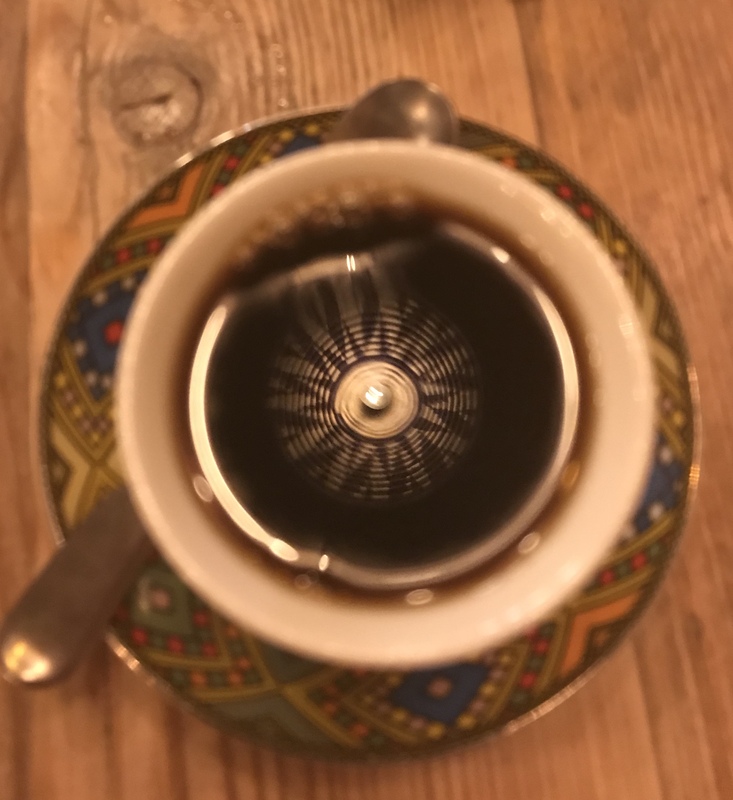 In Abyssinian culture, coffee ceremonies are an integral part of social life and a mark of respect – share our special blend with friends.  The beauty of Abyssinian cookery is that anyone can enjoy it. 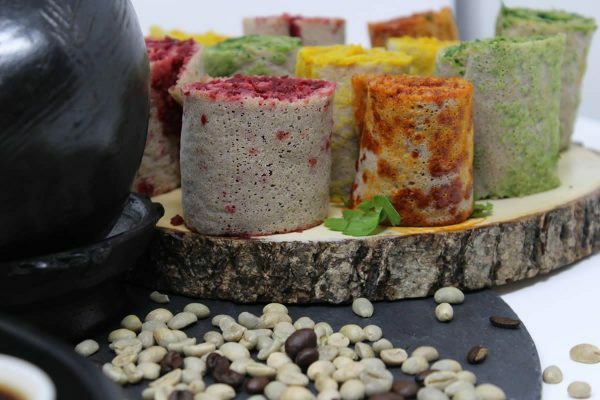 We only use low carb grains, our entire menu is gluten free, and the majority of our food is – or can be made as – vegetarian or vegan. 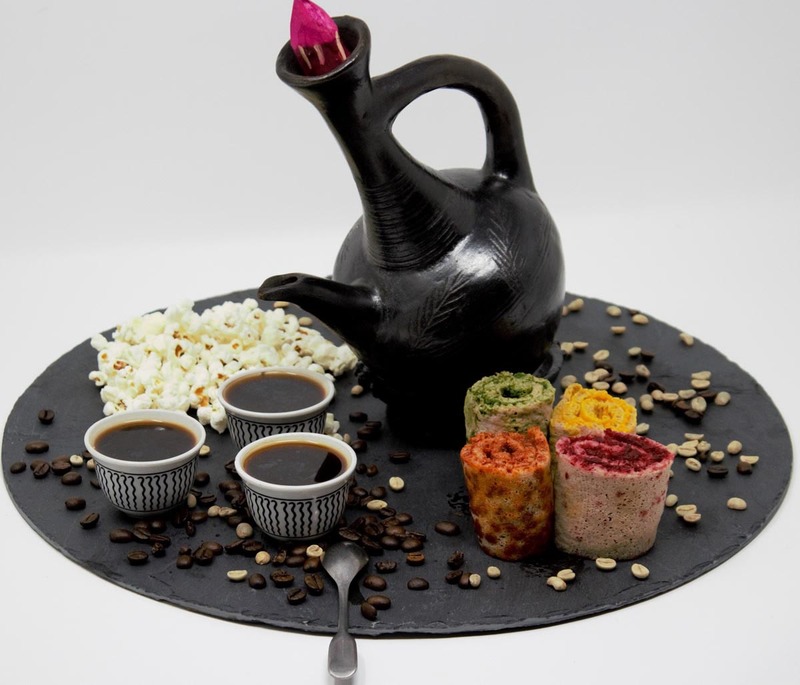 Our injera is made from teff (with a little rice and millet) which, as a ‘superfood’, is packed full of health-boosting benefits. It’s sugar-free, high in calcium, iron, protein, fibre and folic acid, and is widely recognised as being the best alternative to wheat to make gluten free breads. 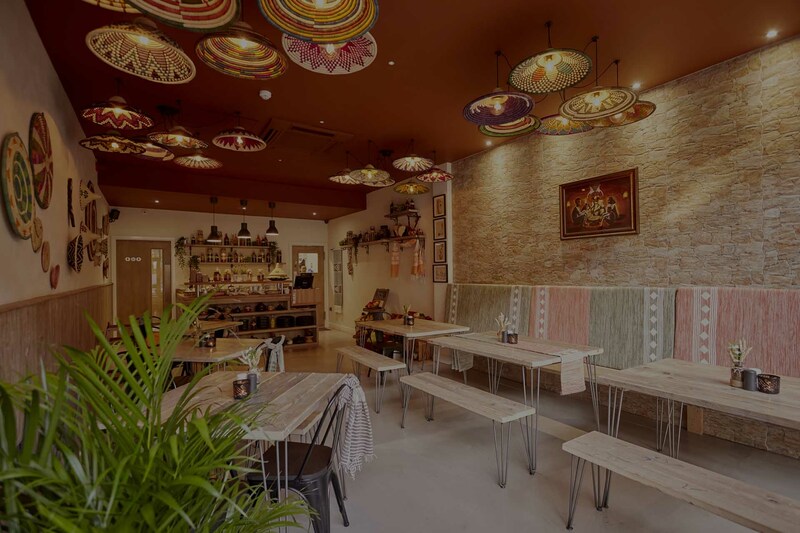 So at Corarima, you get a gluten free, healthy vegetarian restaurant all rolled into one! 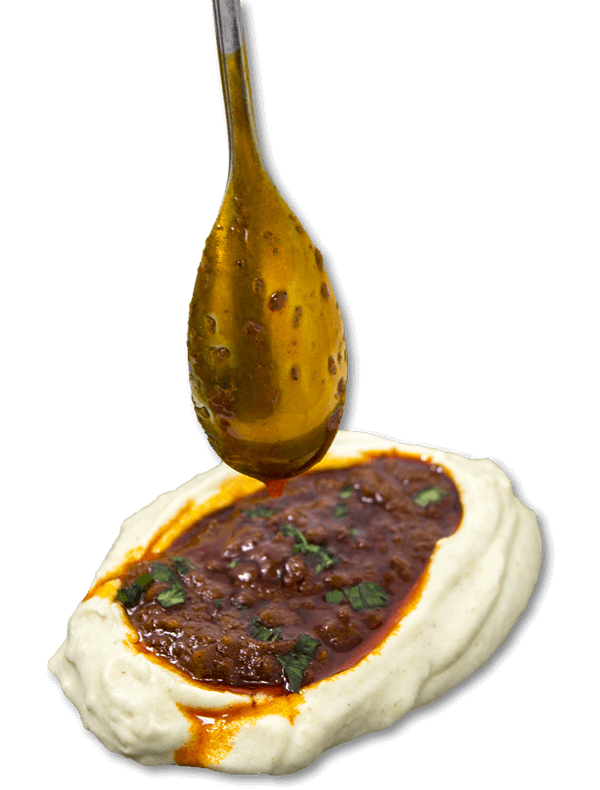 Our love of Abyssinian cuisine is embedded in our roots, but we developed our passion for creating authentic dishes through our extensive catering experience for friends and family. 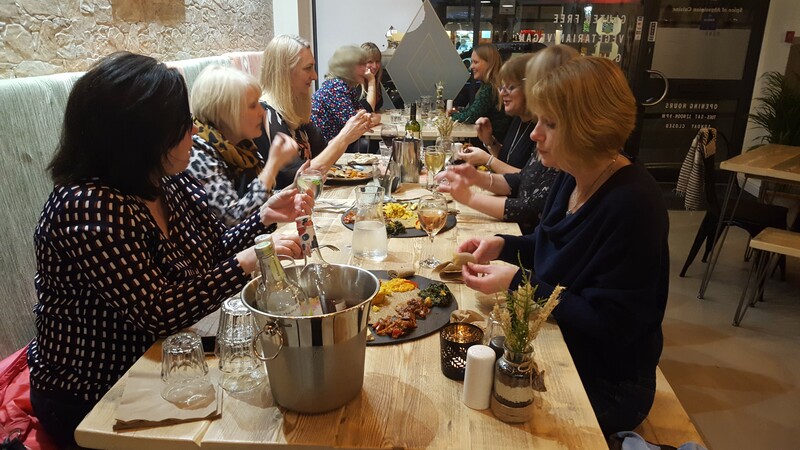 The exquisite flavours that run through our menu are warm, spicy, smoky and delightfully distinctive. 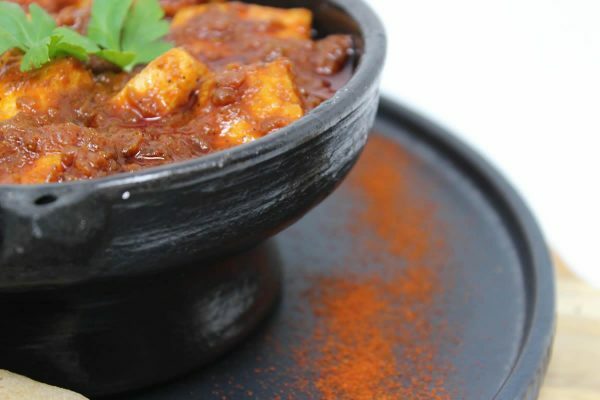 Our berbere spice mix contains many lesser-known Ethiopian spices, such as corarima, garlic, ginger, basil, rue, ajwain, nigella, fenugreek and chilli peppers – we aim for a level of heat that caters for all palette, but we’re happy to turn the chilli levels up or down at your request! 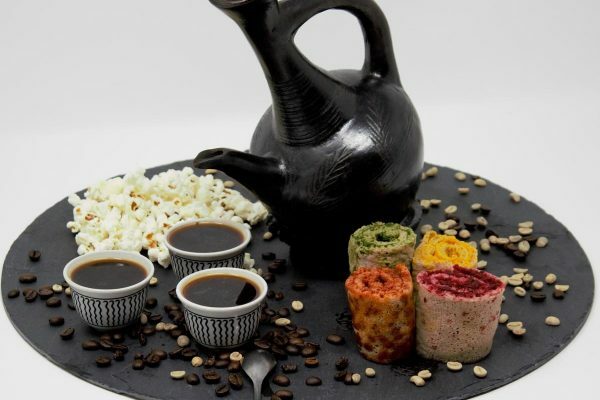 We also serve natural and herbal drinks that complement our wonderful vegetarian, gluten free Abyssinian food. Fancy a quick to go lunch? Please visit us between 12:00 – 2:00pm and pick up your lunch box from the choice specially prepared by our head chef for the day. Variety of vegetable and pulse stews with rice.